Ever wanted to build your own castle or city? If you’re a board game fan looking for a game which can fulfil your desire of building a city where is under your control, you will definitely want to try this out. 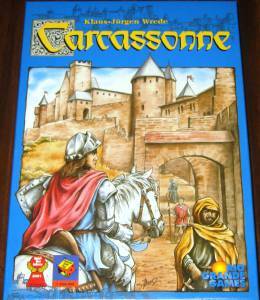 Carcassonne was published in 2000 which is suitable for 3 years old and above. This is a tile placement game of a piece of southern French landscape which requires strategic- brained to place the tiles that benefit the most in order to get points. the tiles are featured with cities, roads, cloisters and fields.